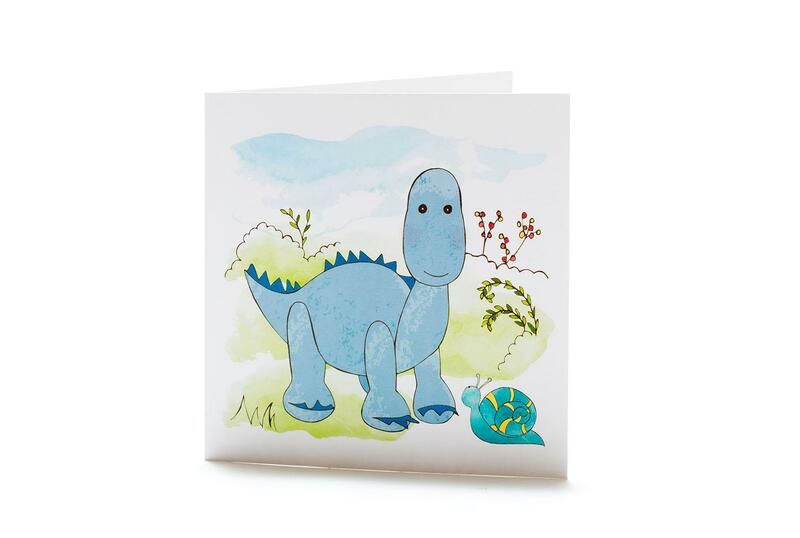 Our sweet blue dinosaur greetings card is designed and printed in the UK. Blank inside for your own special message. This card features our pastel blue diplodocus baby rattle.